WeAr Select London, the new international fashion trade show is gearing up for its ground-breaking inaugural event on 9th and 10th January at Old Billingsgate, London. The new concept fashion fair is set to revolutionise the traditional trade show experience by making the buyer’s experience more easy and enjoyable. The event will bring together a diverse collection of more than 150 of today’s most talented global designers to display their signature ‘story-teller’ pieces. Collections will span across menswear, womenswear, footwear, accessories, art and concept store items. The fair will push the boundaries of the traditional fashion trade show with its focus on art, presenting pieces from renowned artists such as Banksy, Fin Dac, Alec Monopoly and others, which will all be for sale at the show. WeAr Select London will also feature exclusive seminars on upcoming fashion trends. The show’s cooperation partner and leading producer of premium quality denim, ISKO, will present a trend seminar on denim and WGSN, the world leading trend authority, has partnered with WeAr Select to host a preview of the exclusive ‘WGSN Buyers’ Briefing’. The briefing will be presented by WGSN’s Senior Events Editor, Katharine Smith, and reveal the hottest new trends for A/W 16/17. The session will ensure buyers stay ahead of the fashion curve, by offering them a checklist of the season’s key trends from colours, details, fabric and finishes, and print and pattern updates. Running alongside London Collections Men WeAr Select will tap into a market of interested and present buyers. The trade show will operate a system by which tickets to the London Collections Men showrooms are valid at WeAr Select and vice versa. Old Billingsgate, London. In collaboration with leading global B2B publication WeAr Magazine, ISKO and trend-forecasting company WGSN, WeAr Select will open the trade season, attracting international buyers to London. The USP of the show is to combine the power of a leading global B2B fashion and footwear publication, WeAr Magazine, with an innovative digital and physical platform. WeAr Magazine has been published very successfully for over a decade in English, Spanish, German, Italian, Japanese, French, Mandarin and Russian. The magazine is distributed to over 50 countries and is read by relevant international buyers. The new concept for the show allows for brands to bring an edited selection of only 35 pieces per segment to the show and all stands are pre-built. This will allow buyers an overview of the season, from established international brands to up and coming designers. The theme of WeAr Select is that money should not outshine creativity. 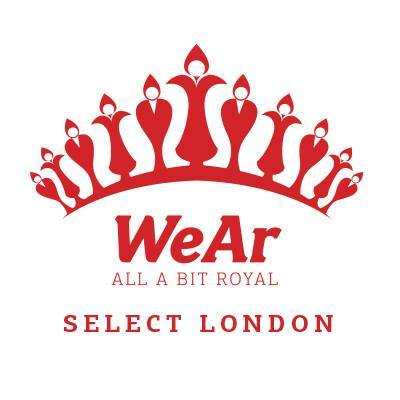 For further information, contact Rachel Allen: info@wearselectlondon.com or visit www.wearselectlondon.com.